Roughly two months and 150 chat sessions later, Product Hunt is expanding its Ask Me Anything-like feature. 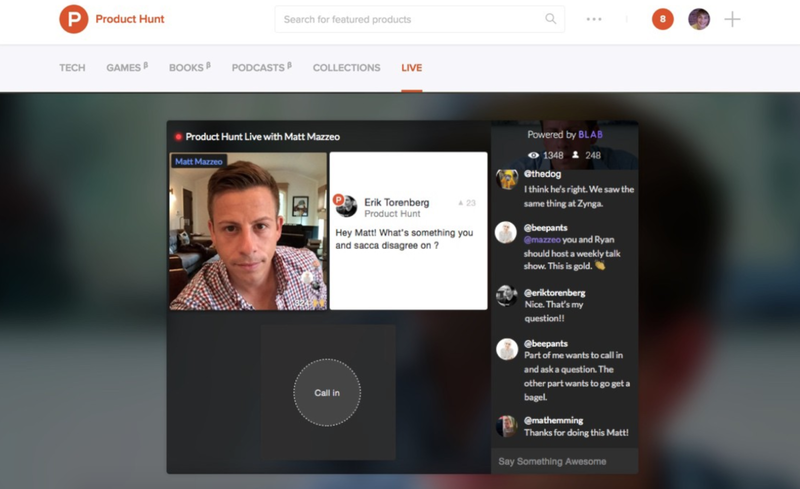 Starting today, Product Hunt LIVE’s lineups will include video chats where viewers can call in and ask questions directly on camera, or simply watch the guests give their responses in real time. Viewers will be required to log in before they can make calls or type in their questions, but simply viewing the session will be open to all. Like Reddit’s AMAs, guests will have the option of picking which questions they’d like to answer. Unlike Reddit, they won’t need to post selfies with their usernames to prove their identity. You can check out the upcoming schedule here.